"traveling experience is very very poor"
Not Verified | If you are a first time traveler from the US and are making a connection thru Madrid Barajas I advise leaving a minimum of 3hrs maybe even 4 hours between your connections, due to the length of time to process thru Customs and security screenings as well as the time necessary to transfer between Terminal 4s and Ternminal 4. Also they do not post the gate # of your flight connection until approximately 23mins before your flight starts boarding, making it it even more difficult to know what gate your flight departs from, Also, there are no kiosks available to check in at, as in the US, so even if you aren’t checking a bag, you still need to wait in line sometimes for an hour or more to check in, do it online if possible before you get to the airport. As far as baggage claim goes, they are absolutely clueless as to what the term “urgency” means, and they are on permanent “siesta” when it comes to getting your baggage to the bag claim, if you are making a connection, consider traveling only with a carry-on, all in all the traveling experience in Madrid Barajas is very very poor due to their lack of available information desks, as well as their seeming lackadaisical attitude to correcting all of the above mentioned issues. I have traveled thru this airport 4 times in the last year and if I had another choice I would take it. Not Verified | Humiliating departure experience. Aggressive, rude, and demeaning security personnel. It took 30 minutes to get through the 10 people in front of me so the queue behind us grew very long. They did this not just with me but with everyone, even the handicapped person, which they made go through the scanner 3 times even after doing a pat-down. ✅ Trip Verified | Terrible passport checks for EU citizens with at the gates long and tedious questions and requests to prove that you have other documents (cards, driving licences). This “special” check is reserved to Italians under the assumption (which is wrong - checked with the Italian consulate) that Italian passports are falsified. Those who make the rules should actually stop other nationalities. 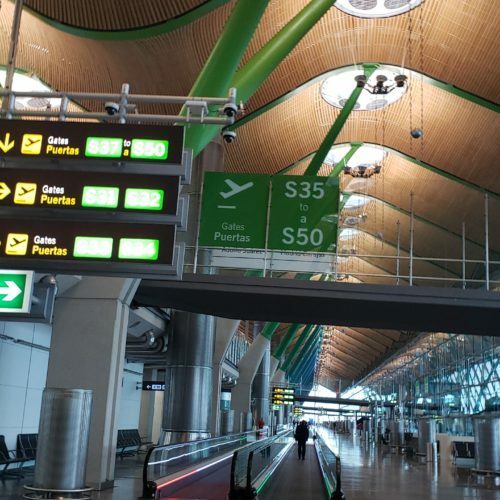 "PA systems at the gate were very quiet"
✅ Trip Verified | I connected through Madrid's Terminal 4 en route to Barcelona, and then a week later originated at Madrid to fly home. 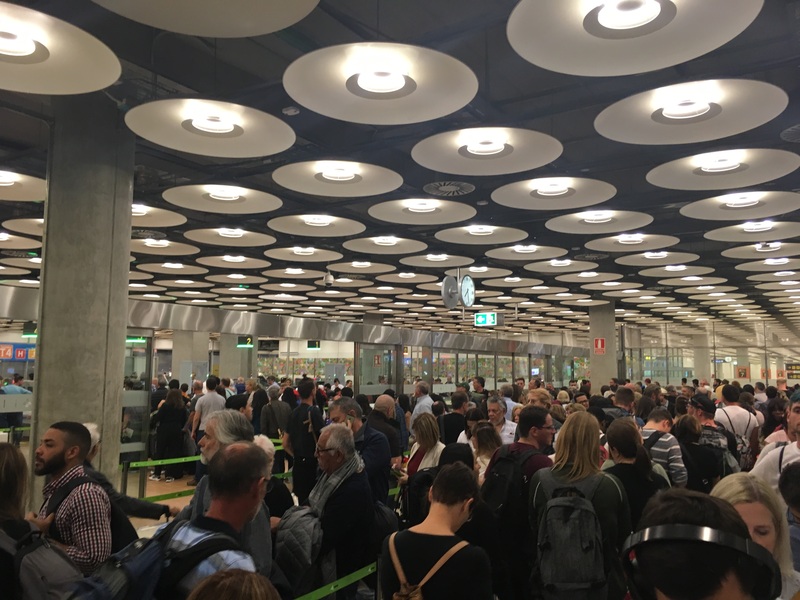 On the plus side, Terminal 4 of the Barajas Airport seemed to function reasonably well. Lines at customs and security were relatively short, both on the inbound and the outbound, and all my flights left on-time and my baggage didn't get lost. The airport is also blessed with very good public transit into the city, both Metro and Cercanias Commuter Train (the latter is actually cheaper if you're going somewhere near one of the stops). 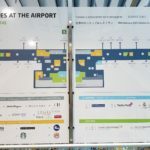 On the minus side, the airport is huge - when connecting, my watch said that I walked two miles from my arrival gate to my connecting departure gate, and that was not counting the tram ride I took in between the international and domestic concourses at Terminal 4. I wouldn't schedule very tight connections here. 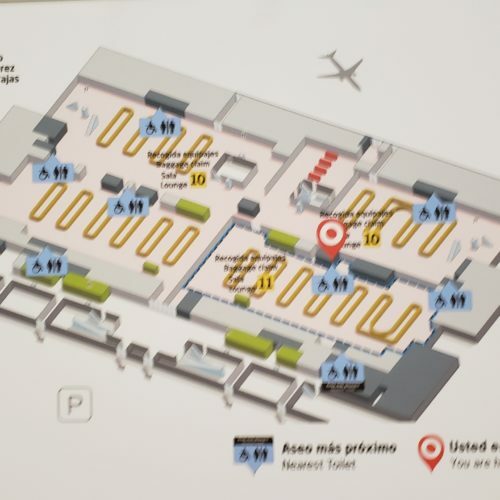 Also, the PA systems at the gate were very quiet, and I had a lot of trouble hearing the gate agent at both of my departing flights out of Madrid. Once you know your gate, I'd recommend staying very close to the desk so that you can hear the announcements being made, you won't hear it at all if you're even one gate over. What I found most annoying, though, was that the prices of the stuff for sale at the Madrid Airport seemed to be by far the most expensive of any airport I think I've ever flown through. Most of the food that's available seems to be fast food, and it's all horrendously overpriced. Ditto for the snacks available in the airport convenience stores, as just one example, they wanted 2.20 Euros for a package of skittles of the size I normally give out to Trick-or-Treaters. I can't imagine the stuff in duty free is any better, although I'll admit to not looking at the prices as I tried my best to avoid the people spraying perfume in my face while trying to get to my gate. 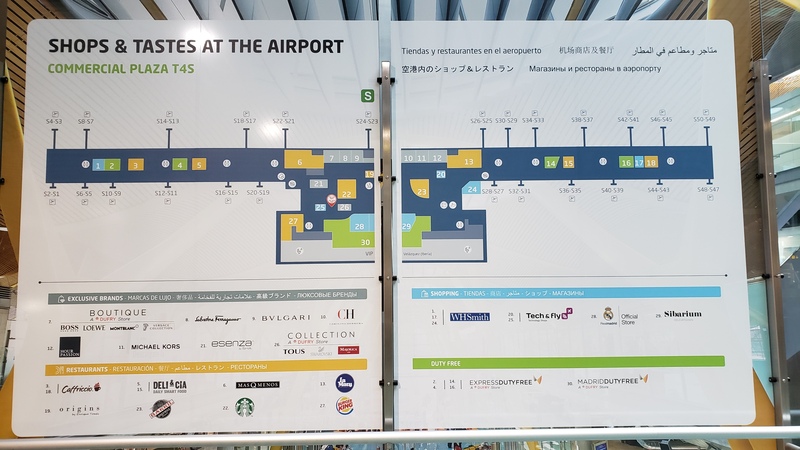 I strongly recommend that you finish your shopping well before getting to the airport, and to either eat/stock up on snacks before arriving or to take your luck with the airline food. "not user friendly and inefficient"
Not Verified | By far the worst information desk help I've ever encountered (and I've been around). As all the other reviews say the airport is confusing, not user friendly and inefficient in almost all its most crucial passenger experience. The amount of people lost and asking for directions is quite high and the most shocking is that the very people at the information desks are the worst to guide you. Their English barely gets them by and if you ask in Spanish they speak too fast and make no apologies for the faces they give you if you ask them to repeat. Unfortunately this was my experience in 3 different desks. Google online whatever you can before hand and get there with plenty of time to try to find the terminals. 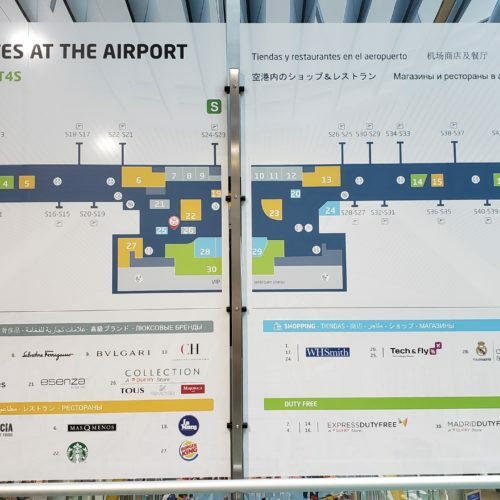 ✅ Trip Verified | Modern airport, bright, clean and practical, with excellent facilities (especially in terminals 4 and 4S). Wide choice of food and shopping areas. Numerous waiting areas, even without confortable armchairs to rest (only normal seats). Excellent and powerful Wifi. "most confusing and complicated airport"
Not Verified | This is the most confusing and complicated airport I have ever been in. It took a solid half hour to get from starting point to gate with my spouse in a wheelchair. Staff were courteous but spoke no English. We used something like 5 elevators and had a bus ride of several miles from one point to another in the airport. When we reached our terminal, there were no business kiosks to get a water or snack. Whoever designed this airport is a sadist. Plan on twice as long to get from door to gate at this airport. 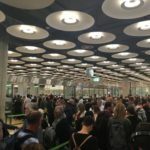 "it was a total disaster"
Not Verified | Despite having a smooth pass through Barajas on our way to Dominican Republic, on our way back it was a total disaster. Our Iberia flight happily arrived 15min ahead of schedule at 6h15 am. But then we were asked to park the plane extremely far from the terminal and the buses took more than 20 min to get there. We were given fast lane passes to get through security in a quicker way but then there were more people on the fast way than in the normal one and every time we would ask to someone we would get a very arrogant, annoyed answer. Between the lack of organization and the staff we of course lost our connection (thank you Iberia! Why would you offer such a short connection if you know it's almost impossible?). 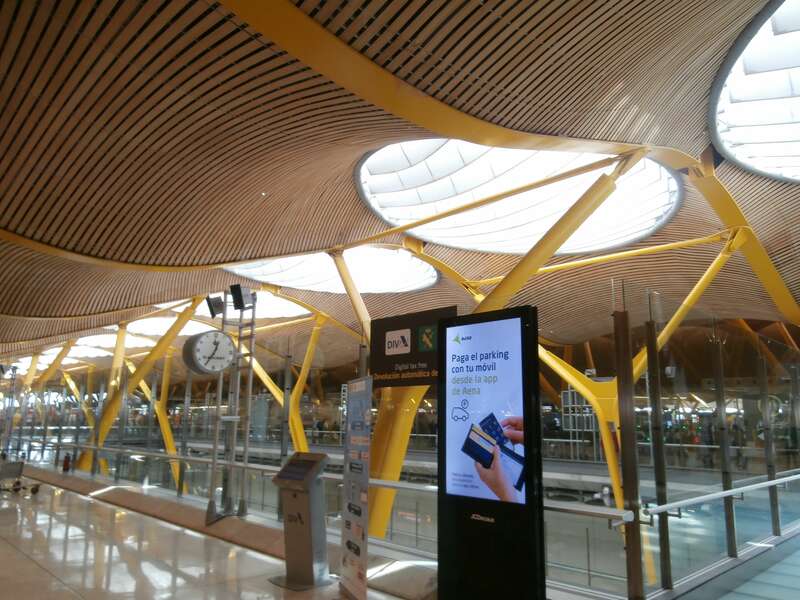 If you're thinking of transiting through Madrid to take your next connection flight, do it only if you have at least 2h30 as otherwise you are going to end up like us! 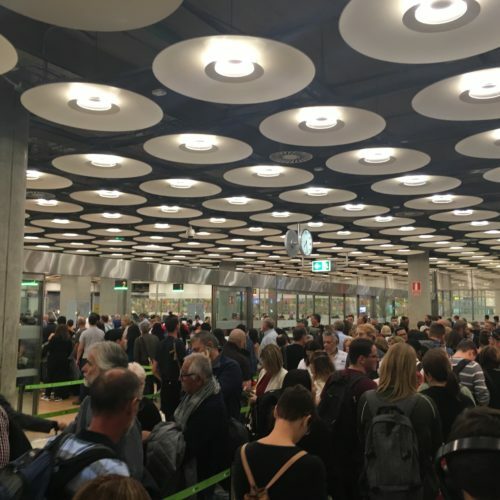 "People were screaming and pushing"
✅ Trip Verified | We came with an overseas flight from Johannesburg to Madrid at 6 am and had a connection flight to Vienna. It took us 2.5 hours in transit only with passport control and security. People were screaming and pushing, the lines weren’t moving forever because there were not enough counters open / staff for the amount of flights and passengers landing at this time. Third World countries are better organized than this. I would never go through Madrid again! 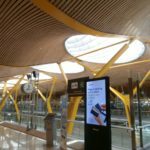 "confusing with not great signage"
✅ Trip Verified | The first time in Spain and travelling through the airport. Arrived at T4 via the metro from the city which was very easy and convenient. Painless. Now T4 is massive. From leaving the metro to the check in is easy but be warned, take a sandwich. One end of T4 to another is a long walk. I of course went to the wrong end first and had to trek back. Easy check in at Emirates (manned by Iberia). Fast track through security which is a complete unit in its own right and so quick. Standard fare of shops and restaurants. The Emirates flight leave from. T4S which is a train ride away. The terminal is new and very large but confusing with not great signage. One works it out eventually. Like many things in Spain it can be a a bit chaotic but generally works out ok.